How to add notes to a task or task item. Notes can be added at a Task or Task Item level to provide additional detail on the job. Multiple notes can be added, and each will include the date and time it was added. 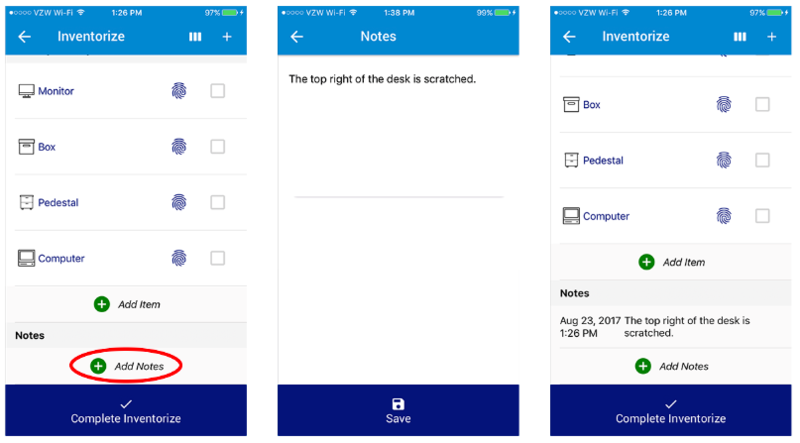 On the task or task items detail page, select "Add Notes"
Type your note, click "Save"